Senior Geotechnical Engineer Whitney Ciani has been nominated for the Notable Women in STEM Project, a featured list of talented STEM professionals in Washington. 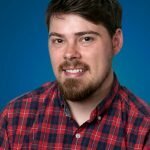 The list is curated by Washington STEM, a non-profit STEM advocacy organization based in Seattle. Like many women in the field, Whitney understands the difference that established professionals and mentors can make to a young student. While a student at the University of Washington, Whitney was matched with a mentor through the American Society of Civil Engineers (ASCE). She was pleasantly surprised to see that her mentor was a woman—and a geotechnical engineer. The Notable Women in STEM Project tells the stories of exceptional women in a variety of STEM fields beyond engineering. By showing underserved and underrepresented students examples of successful women like Whitney, Washington STEM hopes to inspire students to follow in their footsteps. GeoEngineers is proud of the work Whitney and our many other talented women of STEM are doing to pave the way for the next generation of young women. 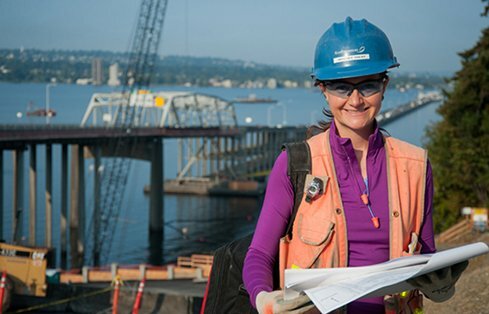 Whitney Ciani stands in front of the new I-520 bridge over Lake Washington, one of her projects.